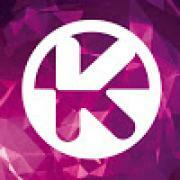 Welcome to the official dance channel of Kontor Records. Find over 1000 videos of best 'Electronic Dance Music' in high definition. Subscribe & join our massive community! Internationally renowned dance label showcasing platinum selling album artists such as SCOOTER and ATB and releasing tracks by the latest and best producers and DJs in the electronic music scene. Successful compilation brands include 'Kontor Top Of The Clubs' and 'Kontor House of House'. Current roster features Armin van Buuren, Martin Solveig, DJ Antoine, Scooter, R.I.O., ATB, Tim Berg, Sono, Fedde Le Grand, Tomcraft, Die Atzen, Markus Gardeweg, Afrojack, Jasper Forks, Lexy & K-Paul... and many more! Worldwide licensing for a number of associated labels such as Tiger Records, Great Stuff, Systematic, Scream & Shout, 1605.